How much Area is needed for 1 wind turbine? Area for structural foundation: 40 sqft. Usable Area under wind turbine: 1200 sqft. What are the technical Requirements from the government? In India, the government has not enforced or announced any policies for the small wind sector. Currently, any wind turbine under 225 KW does not come under the purview of the government (CWET). However, in countries like US and many EU countries, there are policies in place which are beneficial to the customer. What is the average payback period? Payback period ranges from 3 to 5 years depending on the wind conditions of site. What is the Safety Mechanisms implemented in SMART? Auto control, when current or wind spikes, or if turbine becomes out of control. What is the Design lifetime of Turbine? 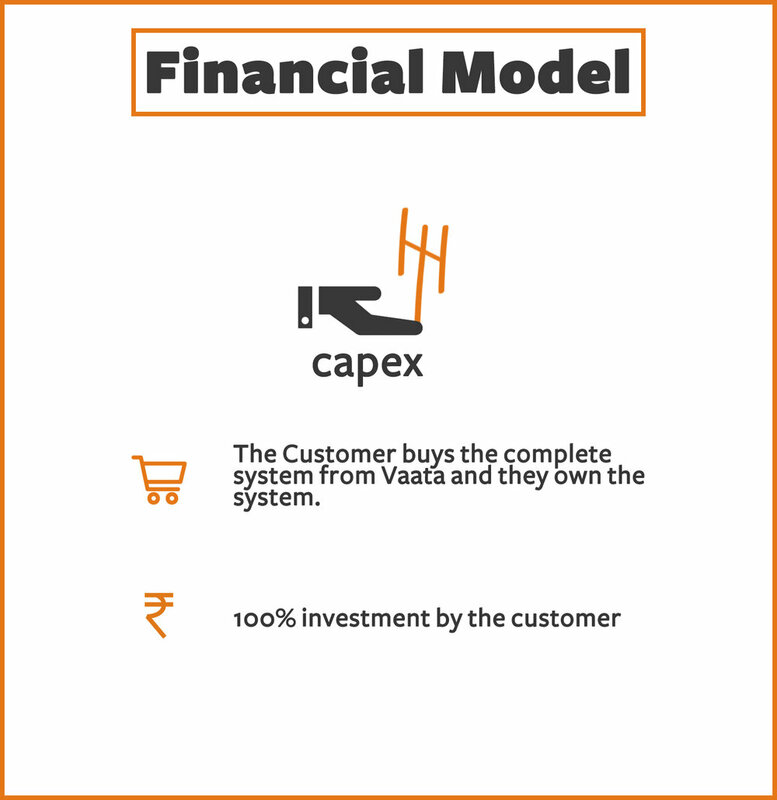 What is the financial model available with Vaata?